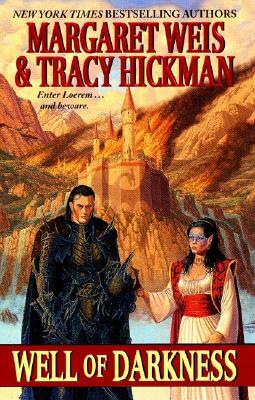 LOEREM: A world where humans, elves, dwarves, and orken co-exist in a fragile balance maintained by the Dominion Lords, warrior-peacemakers forged from the magic of the Soveriegn Stone. But evil slumbers at the sacred Stone's core. Second in line for succession to the throne, Prince Dagnarus will have his crown ... and his queen--though his heart's prize is a married elfin beauty. Let his hated half-brother Prince Helmos and the Dominion Lords dare to oppose him. For Dagnarus's most loyal servant has ventured into the terrible darkness, where lies the most potent talisman in the realm. And once it is in the dark prince's hand, no power will deter his Destiny.